We will be exploring higher concepts in composing digitized designs. This is an intermediate class in the series. Must have a working knowledge with the program and have experience with embroidery process. This is a hands on, faster paced class. This is not a beginners' class. 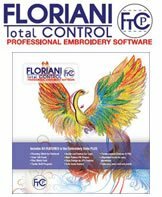 Must have a working knowledge with the program and experience with embroidery process. This is not a beginners' class.